Shams El Wazer CNN Google - These days, the biblical land of Sheba has an unlikely queen. 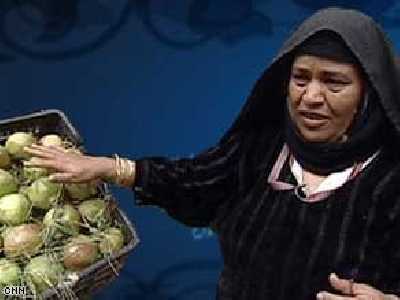 She's Amina al-Amrani -- a 57 year old, mother of seven, better known as Yemen's "Queen of Oranges." Amina can't read or write but she's become an urban legend as one of the top wholesale fruit brokers in the country. "I stood strong and persisted. I kept working and I kept trading and that's how I gained the experience," Amina al-Amrani said. Almotamar.net, Saba - SANA'A, Dec. 21 (Saba) - Oil and Minerals Minister Khaled Bahah has denied what reports have said about the depletion of petroleum in Yemen, saying forty new petroleum blocks have been found, the state-run 26sep.net reported. almotamar.net agencies - The Qatari Diar Investment Company begins the beginning of next year, in cooperation with the Yemeni Investment Authority implementation of construction works for Rayan Hills project at a cost of $600 million.